Crisis management is more of something you want to prevent rather than master. I meet lots of people with goals for their businesses. Talking to decision makers for a living, some are realistic and some just choose to live in a fantasy. It becomes frustrating trying to convince these people that the roadblock in their way to success starts at their shoes and goes up. Some may take offense to this blog. I’m sorry I really don’t mean to offend anybody, but if your ship is sinking the first thing I would do is patch the hull of the ship instead of removing the water coming in. 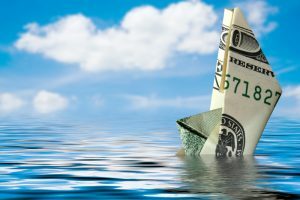 Businesses that grow too fast without safeguards in place can eventually become that sinking ship. 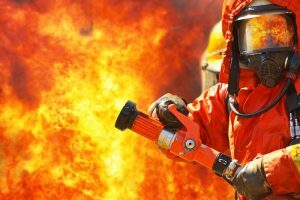 A career in crisis management can be avoided with company policy. Policy is a good start, but if that policy isn’t enforced from the beginning, as the business grows the problems do too. So much so, that chaos becomes a way of doing business. I have talked to many people about the current state of their business and some are content with where they are. The thought of growth beyond that is something that brings with it anxiety and fear. The fear is for good reason and here is why. When a problem takes place in a small business, the losses are minimal and can be easily overcome. When problems occur in a large business, the losses are amplified through sheer size and can get out of control quickly and sometimes the losses are catastrophic. Operating a large size business can be very taxing on the mind and body if reacting to chaos is a daily routine. At some point the leadership has to become proactive instead of reactive. Employees will do as they are instructed or the other option for them is to find work elsewhere. It is up to the leadership to step it up and lead, or you will need to hire more qualified leaders. The small business mindset is to be personal and close to your employees and customers. That seems like the thing to do to get people to like you and recommend you to others. After all, word of mouth is the best advertising. Actually, that statement is not true. 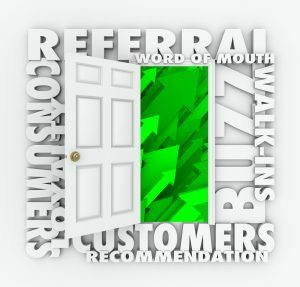 Word of mouth is more marketing than advertising, unless someone is displeased with the quality of your product or service. Then it becomes advertising, and not the kind you want. Bad press is only good if you are a celebrity. Too many negative reviews will put a business on its back. If you are an owner of a business and are blessed like me, to have a small team of dedicated employees that want a better future for themselves and your company, your leadership skills are the only thing in the way of that success. I have always said that failure isn’t an option here. Sometimes to win, you need to listen to the little people around you. Their loyalty is intact because they believe in your vision. When that faith is gone, so is their loyalty.